Alli and Adriana are predator hunting in southern Illinois. Alli and Adriana's mother, Susan, is after an old, mature, southern Illinois buck. Alli and Adriana are back for season 3. They have had another great year of hunting adventures and they can't wait to share them with you. Quentin Smith from QRS Outdoor Specialties guides friends and family on mule deer and whitetail hunts. Adriana has the opportunity to harvest her 1st mule deer on a once in a lifetime hunt. The Armstrong's good friend, Mark Werner, takes a beautiful mule deer as well. Adriana sits at a water hole waiting on her chance at a big bull while Alli films Jordi on a bear hunt in Colorado. Adriana is hunting elk with her bow in Colorado. Alli films Jordi on a Colorado bear hunt. 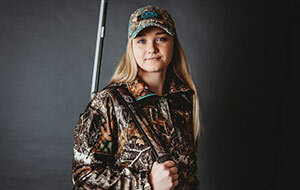 Alli hunts elk in Colorado with QRS Outdoor Specialties. 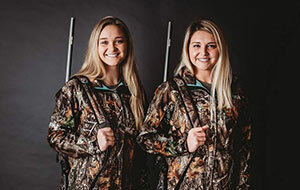 Grace, Camo & Lace follows the Armstrong sisters on hunting adventures across North America. 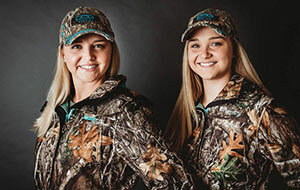 While in pursuit of big and small game, Alli and Adriana bring a fresh look and youthful energy to the hunting industry. 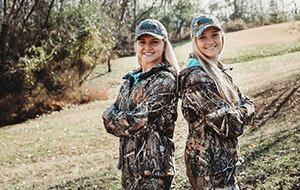 The sisters have been hunting since they were five years old and share a passion for hunting and the outdoor lifestyle. The entire Armstrong family gets in on the action as they join Alli and Adriana in bringing you entertaining, informative, fun-filled shows. 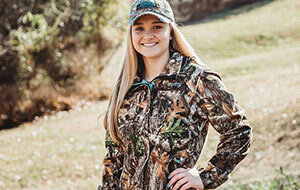 Alli Armstrong is a host of "Grace, Camo & Lace" on Sportsman Channel. 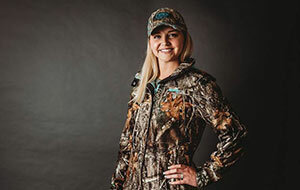 Adriana Armstrong is a host of "Grace, Camo & Lace" on Sportsman Channel.